Born and raised in Cuenca, Ecuador Mateo began his guitar studies when he was 10 years old, and ever since he played his first notes on the guitar he knew that there was only one path for him. In Ecuador he started his performance and teaching career at the early age of 14 where he performed in numerous recitals and guitar festivals, where he played in masterclasses for some of the biggest names in the classical guitar world. Mateo has performed in masterclasses for guitarrists like: Pepe Romero, Angel Romero, Oscar Ghiglia, Antigoni Goni, Luz Maria Bobadilla, Jose Gregorio Wanchez, etc. Performing as a soloist he won second prize in the open division of the first national guitar competition of Ecuador as well as multiple awards for his performances through his life. He has always loved different styles of music, being part of multiple bands where he wrote his own music, he has always shown to be a very versatile musician. 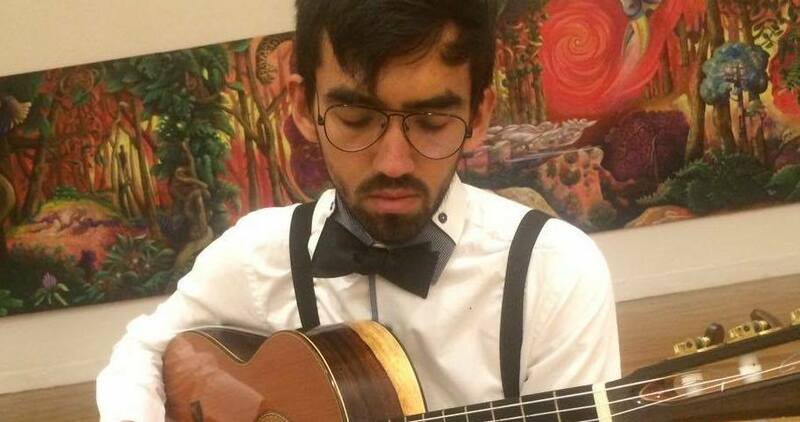 He is currently a Candidate for Bachelor in guitar performance in the Manhattan School of Music where he studies with the american guitarist and composer Mark Delpriora under a partial Scholarship.